As a culture, we love to live in the past. Or, rather, we love to bring the past to our present so we can revel in it and do dances and blow bubbles and stuff. That practice is alive and well on Nickelodeon, which is using its nostalgia generator The Splat on TeenNick to bring together a mini-reunion of cast members from one of the most memorable sketch shows of all time (that happened to star children): All That. To be clear, this isn’t a revival or a straightforward reunion special, although I certainly hope that kind of expanded effort is born of this one. What’s happening here is The Splat will be running an All That weekend marathon on April 16 and 17 to celebrate the show’s 22nd anniversary, and cast members Kenan Thompson, Kel Mitchell, Lori Beth Denberg, Josh Server and Danny Tamberelli got together and recorded a bunch of promos , around one to three minutes in length, to air during the commercial breaks. In those bits, the group will look back and reflect on their time on the show, probably highlighting certain characters and sketches. So with original sketches airing between those bumpers, it’s basically set up exactly like a reunion special. It’s definitely disheartening that only five former cast members came together to get this going, but it’s hard to get upset that five were some of the best cast members the show had going for it. (Still love you, though, Amanda Bynes. 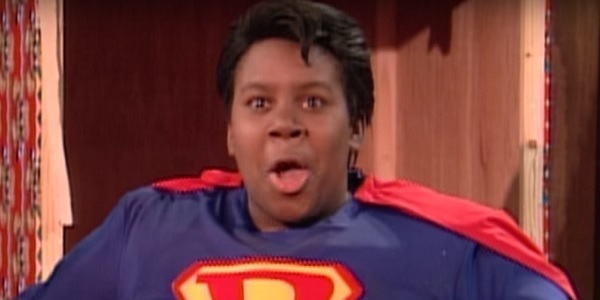 )It would almost be surprising to see the return of Kenan Thompson, who arguably remains the biggest star from the entire cast thanks to a long-lasting Saturday Night Live stint, but the actor has always shown love for the project that launched him as a household name. Not that the others are just sitting around doing nothing. Danny Tamberelli is still acting on occasion, but his most exciting current gig is definitely his podcast The Adventures of Danny and Mike, which he hosts with his former Adventures of Pete & Pete co-star Michael Maronna. Josh Server appeared in recent years on kids shows like Drake & Josh and Sam & Cat. Lori Beth Denberg, who had a good run on The Steve Harvey Show after All That, had a memorable appearance on an episode of Workaholics a few years back. Then there’s Kel Mitchell, who has done a lot of voice work over the years, eventually landing another kid show lead in Nickelodeon’s Game Shakers. This isn’t the only time former cast members have come together in the name of honoring the show. Some of them reunited for the 10th anniversary special back in 2005, and who can forget Kenan and Kel getting together again on The Tonight Show for a new “Good Burger” sketch? Check everybody out, along with some silly clips, in the promo below. So, just in case you were temporarily caught up in the bathtub with a Frenchman this whole time, The Splat is set to air the All That marathon, compete with reunion promos, on Saturday, April 16, and Sunday, April 17. And if you need more Nickelodeon splendor in your life, don’t forget about the Hey Arnold movie, the Legends of the Hidden Temple movie and the upcoming return of the original animated Ninja Turtles on the franchise’s newest series.